Silvia: Food for our soul… well something like that. Who would have thought that I would enjoy owning and traveling in a travel trailer? Certainly not I. But I do and she really is like food for my soul to keep what’s most important to me relevant: God, my husband, my children and enjoying the simple things that life has to offer. Since adding her to our family, we’ve been on nearly a trip somewhere a month. Mostly short trips, weekend stays to just get away from it all, take the kids someplace without many options other than riding bikes, fishing, reading books, playing board games and sleeping. Cooking consists of grilling and crock pot meals that have been slowly cooking all day while we’ve been out and about. Laundry is simple because it’s just a few sets of clothes and keeping Silvia neat and tidy is easy since we don’t clutter her up with too many things. Silvia is a refreshing breath of fresh air to our otherwise crazy, fast-paced, pressure-filled, busy lives. 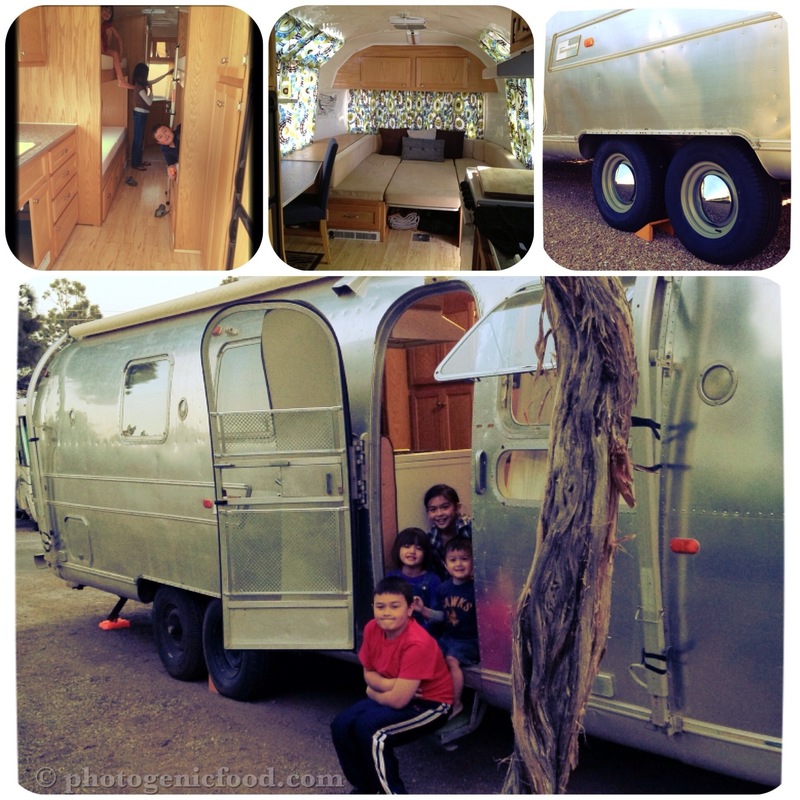 When my husband Toby brought up the idea of getting an RV or travel trailer, I admit, I was hesitant. We knew NOTHING when it came to RV camping and I certainly knew nothing about camping period. But he had a good point. Until recently, we lived in the midwest close to all our family. In June 2011, we moved across the country to the great Southwest. As a family of 6, getting back to see our loved ones would entail no less than $1500 in airfare on a good day. So what the heck, why not get an RV and make an adventure of it? And so we did. 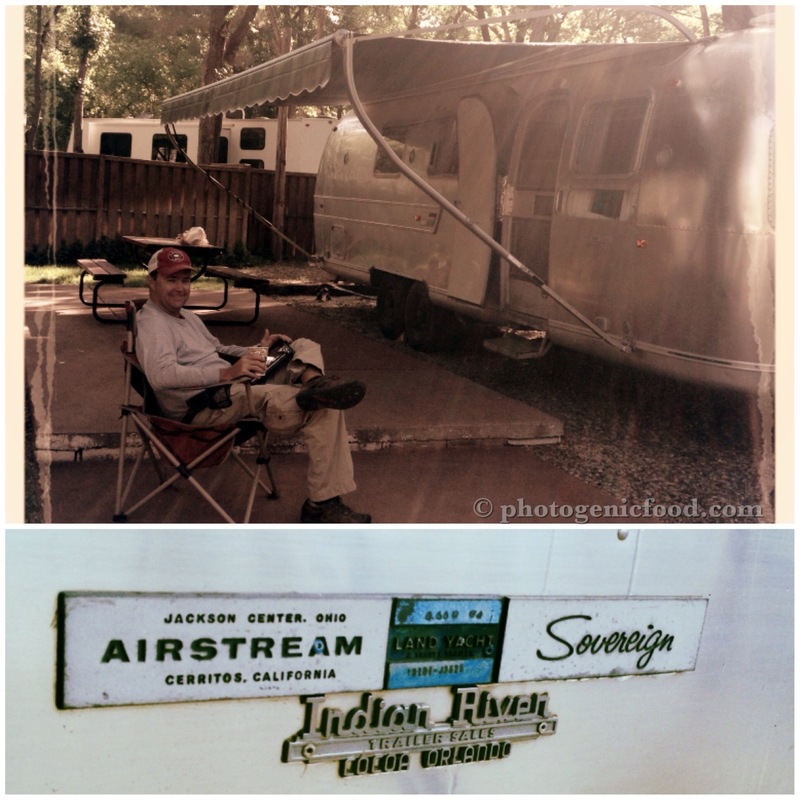 Silvia is a 1971 Sovereign Airstream, 31 feet in length. The previous owner tells us that other than himself, there was one owner who basically had abandoned her in Flagstaff, AZ. He brought her home and renovated her for a few years hoping that once he was finished, he’d take her out. Unfortunately for him, it was not to be and Silvia sat on his driveway until we came along and purchased her. Unknowingly to him, he had outfitted Silvia perfect for us. She has 2 sets of bunk beds and the dining area folds out to a queen sleeping area for Toby and I. She’s not super fancy, but she’s comfortable and inviting. I recently finished sewing her a new set of curtains and am working on new mattress covers for each of the twins. For Christmas Toby and I got Silvia new rims and hubcaps as our gifts to each other. Uh, we were AMAZED at how much better she towed when you actually have rims and tires that match! 🙂 My biggest wish is to get her polished… but that’s quite an expense, so we’ll have to budget that one. Silvia, like our lives is a work in progress. She is a part of our family now and our adventures with her really are food for the soul.